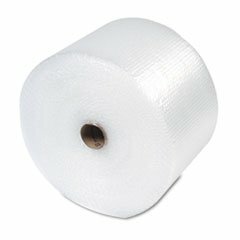 ** Bubble Wrap® Cushioning Material In Dispenser Box, 3/16'' Thick, 12'' x 175ft ** by 4COU at KBFS. Hurry! Limited time offer. Offer valid only while supplies last. ** Lightweight packaging reduces costs and provides superior protection. Retains air and cushioning properties much longer than non-barrier bubbles.